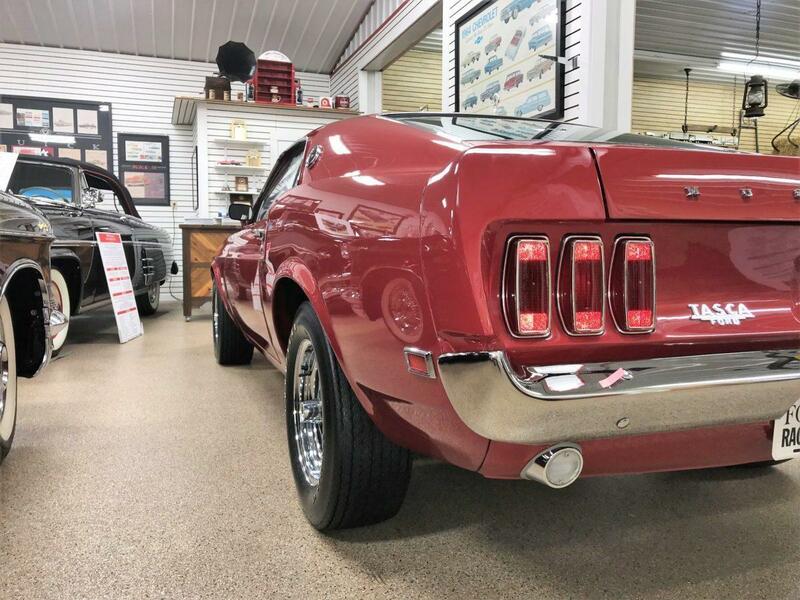 Finished in its original Candyapple Red paint with Black Deluxe Clarion Comfort Weave knit vinyl interior, this magnificent 1969 Ford Mustang Boss 429 was the recipient of the ultra-exclusive Thoroughbred Gold Award conferred by the Mustang Club of America in 2011. At this writing only 4 other 1969 Boss 9’s have achieved this status. 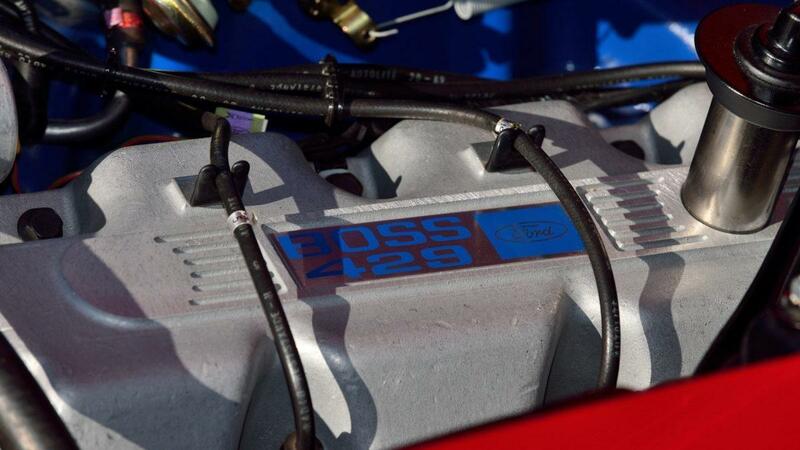 Because correct original and NOS parts are practically unobtainable it is unlikely that there will be much of an increase in the number of ’69 Boss 9’s to attain Thoroughbred status in the future. 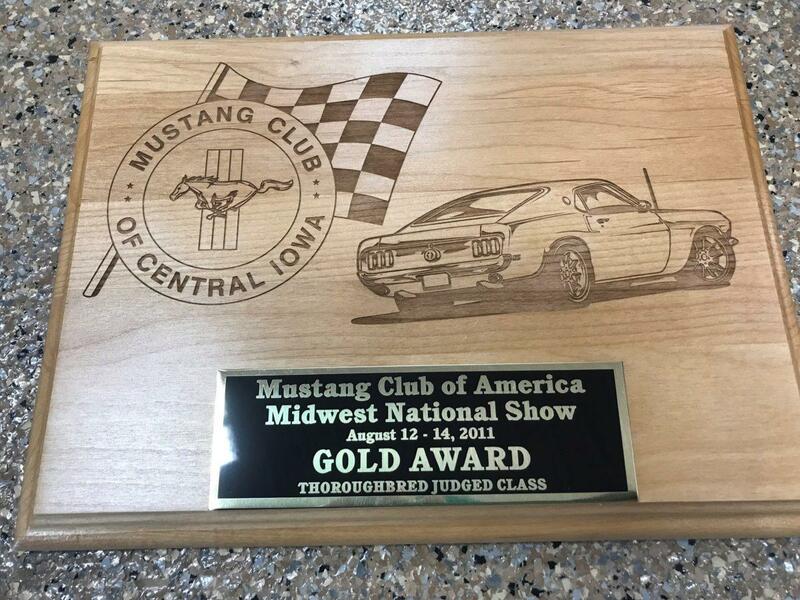 Thoroughbred Gold status is awarded to Mustangs determined through a strict judging regimen to be 100% date code correct. 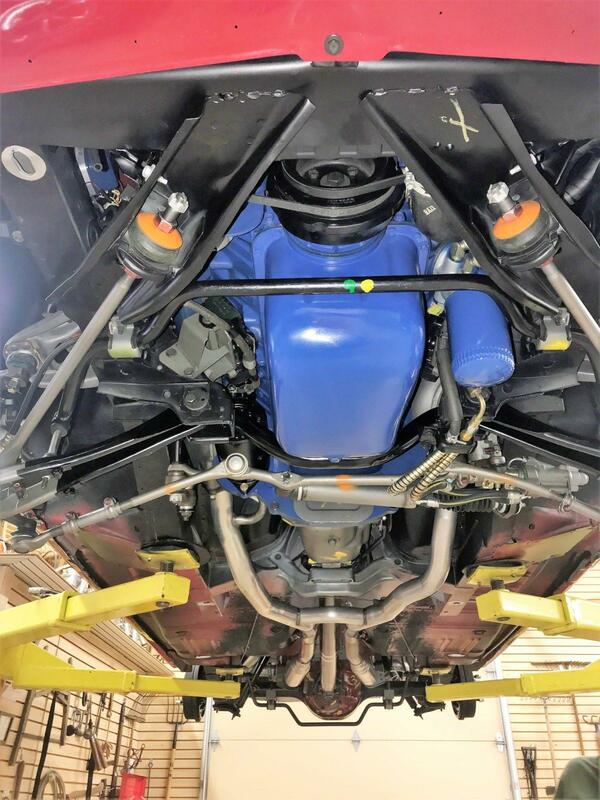 To achieve this exceptional standard of excellence, the recipient must be proven to use only the original drivetrain and NOS or original parts for every single part down to the most minuscule detail. In addition to the 1969 tires and exhaust, KK 1663 also has a very rare 1969 original Autolite radiator cap. In judging a vehicle for Thoroughbred Gold, MCA judges examine every number on every component for correctness, authenticity and quality of restoration. In 2018 it was awarded a Pinnacle Division II Certificate at Muscle Car And Corvette Nationals. The Pinnacle Certificate is reserved for the absolute best of the best. All applicants must first earn MCA Gold status. The intense judging process is done by certified Mustang authorities, led by Bob Perkins and Rick Campbell. 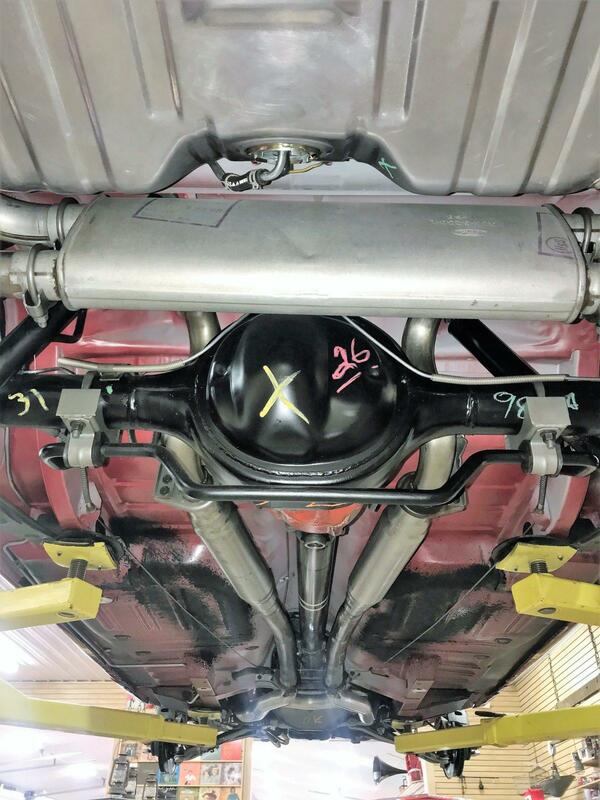 Cars are inspected inside, outside and underneath on a lift with all numbers and date codes inspected and verified. 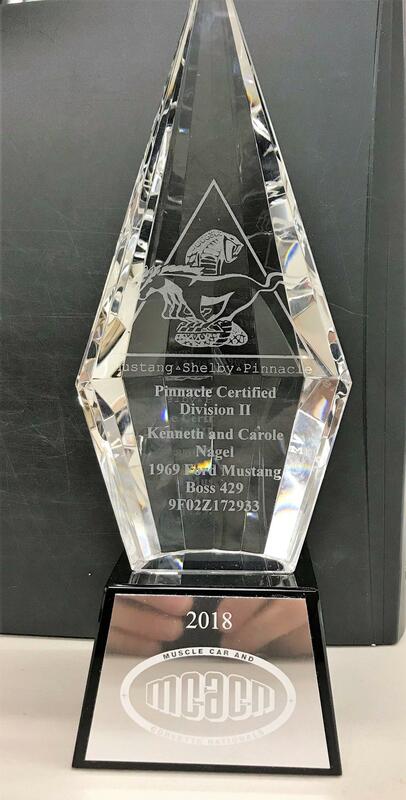 As of this writing only three other Boss 9’s have been awarded a Pinnacle Certificate. This was only the third time the car was shown to the general public since final restoration in 2011. 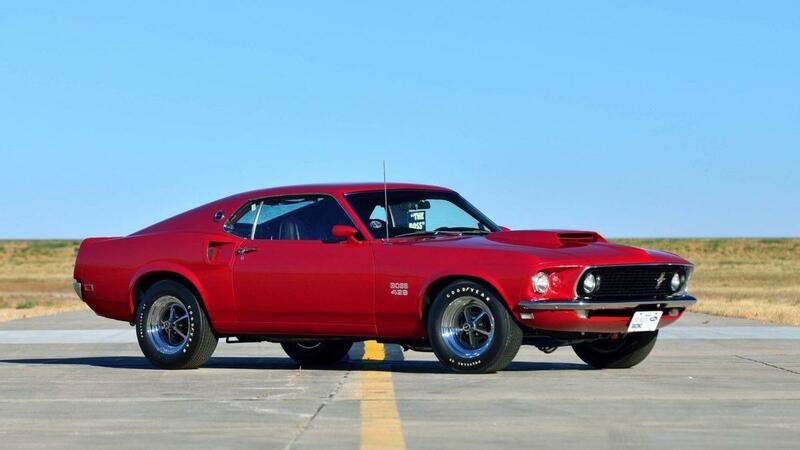 Pulled off the line at Ford’s Rouge plant in Dearborn Ken’s Boss was sent to Kar Kraft in Livonia, MI where it was assigned KK1663 and turned into one of 859 Mustang Boss 429’s on April 1, 1969. It is one of 238 with same paint and trim code. (Of the 859 Units, 14 cars; KK1201 through KK1207 were prototypes, KK1208 and 1209 were “Pilot Line” cars and KK1210 through 1214 were pre-production cars – Bob Perkins). 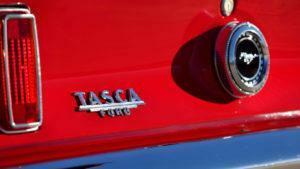 From Kar Kraft it was shipped to the now legendary Tasca Ford in Providence, RI on April 26th. 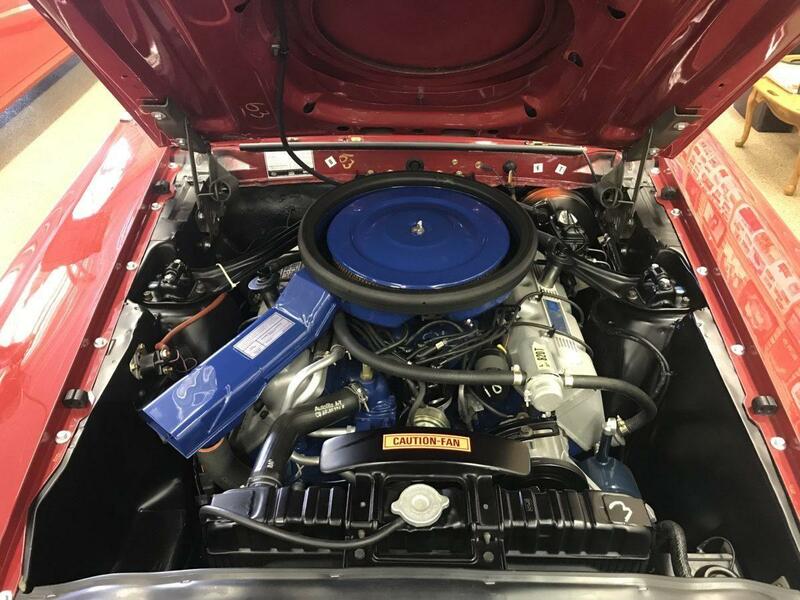 As New England’s most successful Ford dealer with access to Ford President Bunkie Knudsen’s inner sanctum, Tasca was instrumental in the creation of many performance Mustangs, including the Boss 429. The car still retains the name plate where Tasca put it, next to the driver’s side tail light. On May 31, 1969 KK1663 was sold to its first owner from Anchorage, AK who flew to Providence to pick up the car. He intended to drive it back to Anchorage but near Seattle it developed a problem. The car was taken to the Ford dealership where warranty repairs were undertaken. Meanwhile the owner went on to Anchorage. When the repairs were completed the car was shipped to Anchorage by seagoing barge. While in Alaska it accumulated over 50,000 miles when in 2003 it was put up for sale in Glennallen, AK by the third owner. Jeff Meierotto acquired the car for $25,000. He drove it part way and trailered it the rest of the way over roads damaged by a recent earthquake to his home in Two Rivers near Fairbanks. 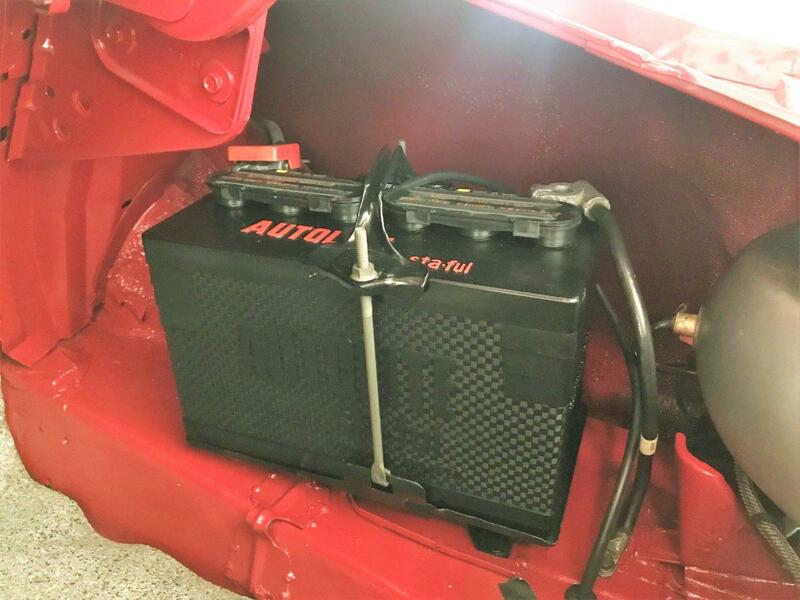 A photo of the car on the trailer shows it to be in great shape. 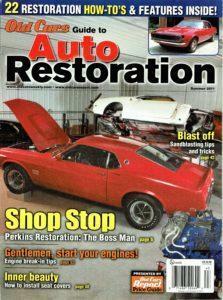 In 2007 Jeff sold the car to Rick Parker, Boss restoration expert and owner of Signature Auto. 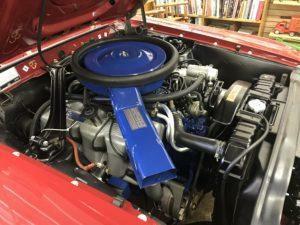 Rick was commissioned by his client, Phil Garland, a collector from Ashville, North Carolina, to restore the car. When Rick disassembled the car, he found it to be rust free, remarkably complete and in very original condition. (A friend who lives in Alaska confirmed that because road salt has practically no effect in sub zeros temps they don't salt their roads and instead use gravel and sand.) The original drive train had about 58,000 miles showing on the odometer. Rick completed the restoration in the summer of 2008. The complete and extensive documentation of the car includes a detailed photo history of the restoration. 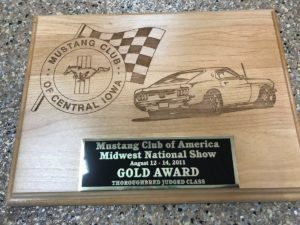 On July 12, 2008 Phil entered it into the very prestigious Dublin, Ohio Classic Auto Show where it was awarded Best Of Show. Rick still has the award trophy in his showcase. Phil gave it to him saying, “you keep it, you earned it”. Due to illness Phil sold the car to Dan Mayberry from Cave Creek, AZ. 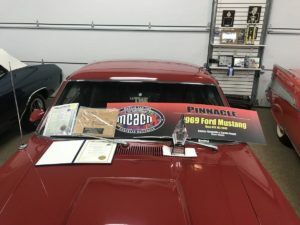 Dan kept the car for a couple of months, put on 26 miles and then sold it to Wayne Schmeeckle of Fort Morgan, Co. Wayne is very well known in the car hobby, collecting only the rarest and “best of the best” cars. Wayne commissioned Bob Perkins to “detail” the car so he could enter it into the MCA Thoroughbred class competition. 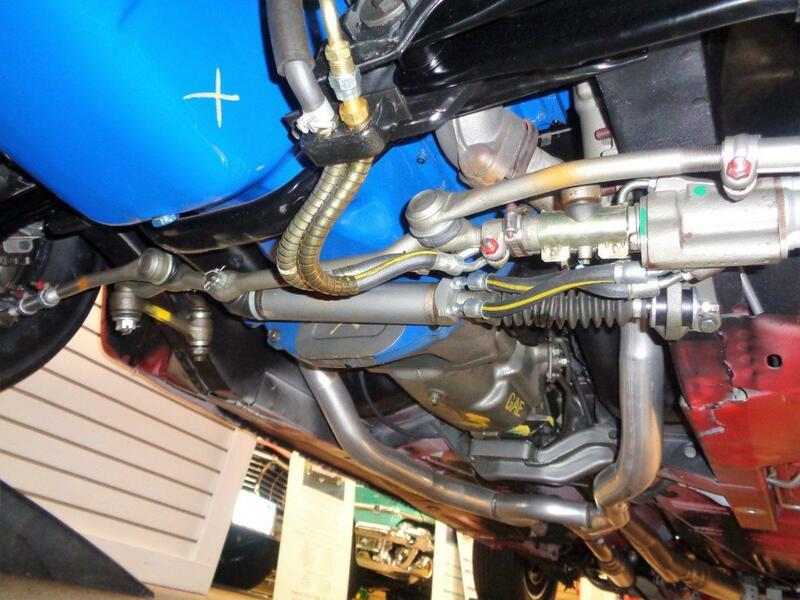 At great expense, Bob removed the reproduction parts and replace them with NOS and original 1969 parts. 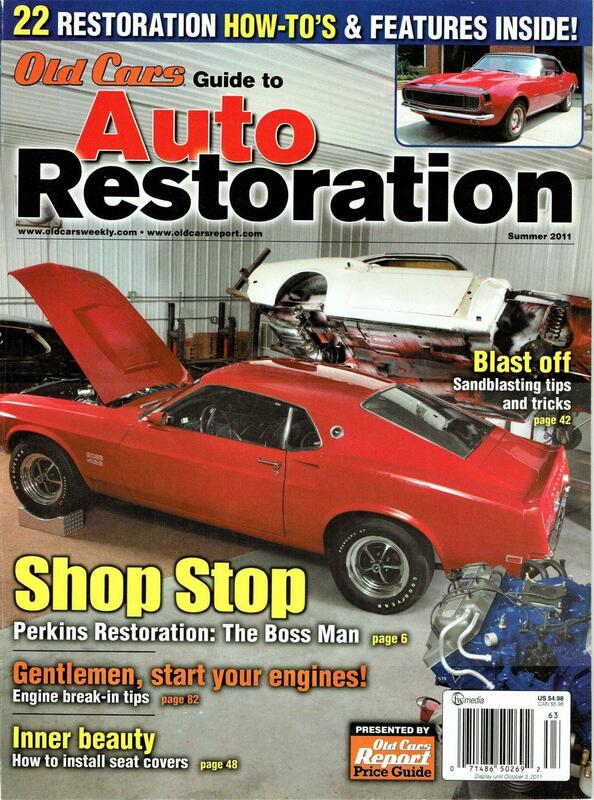 The car appeared on the cover of Old Cars Guide to Auto Restoration Magazine, Summer 2011 issue, while it was in Bob’s shop. On August 12, 2011 Wayne entered KK 1663 into the Thoroughbred class at the MCA Midwest National Show in Des Moines, IA. This was only the second time the restored car was shown in public. It was awarded Thoroughbred Gold status. The major deduction was for lack of orange peel in exterior paint! When asked about this Rick said that Phil wanted the car to be as slick and glossy as he could get it, no orange peel. Other than that, the car is pretty much perfect. The car remained in Wayne’s collection, out of sight of the general public for the next 6 years while it accumulated all of 3 additional miles on the odometer. 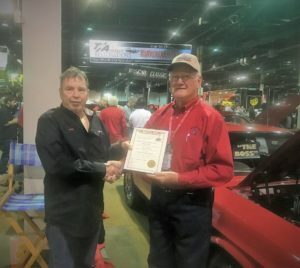 In November of 2017 Ken and Wayne met at the MCACN show in Rosemont, IL. 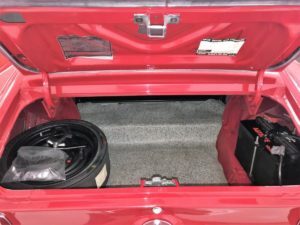 Wayne brought his unrestored 1971 Ford Mustang Boss 351 Fastback with 823 miles and Ken was showing his 1970 Pontiac GTO Ram Air IV 4-speed convertible. A few weeks later they reached an agreement and the Candyapple Red Boss had a new home in Ken’s “car barn”. 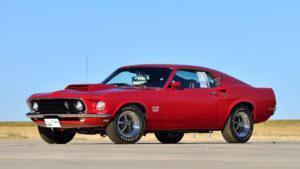 Even though there were a total of 1,359 1969 and 1970 Boss 429’s made over the two year production cycle, some of the parts between the model years and even between cars in the same year were not interchangeable and because it was only a two year limited run there were not a lot of parts made for dealer stock. 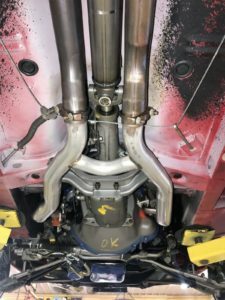 All this adds up to making NOS original parts very costly and hard to find. For these reasons it is worth discussing some of the main differences between the ’69 and ’70 models. 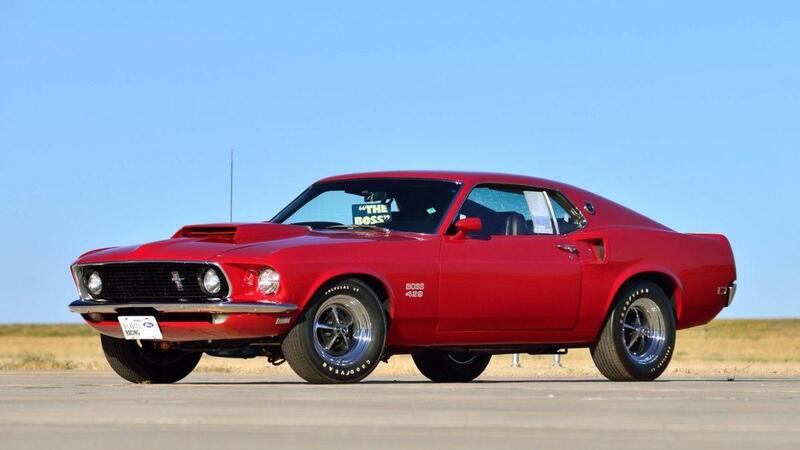 According to the “Ford Car Master Parts List, Final Version, May 1975” there were 317 parts that were unique to the 1969 and 1970 Boss 429 Mustangs from the rest of the model line. 41 of these were unique to the just the 1969 cars. The differences do not include the most obvious variations in style changes between the cars. 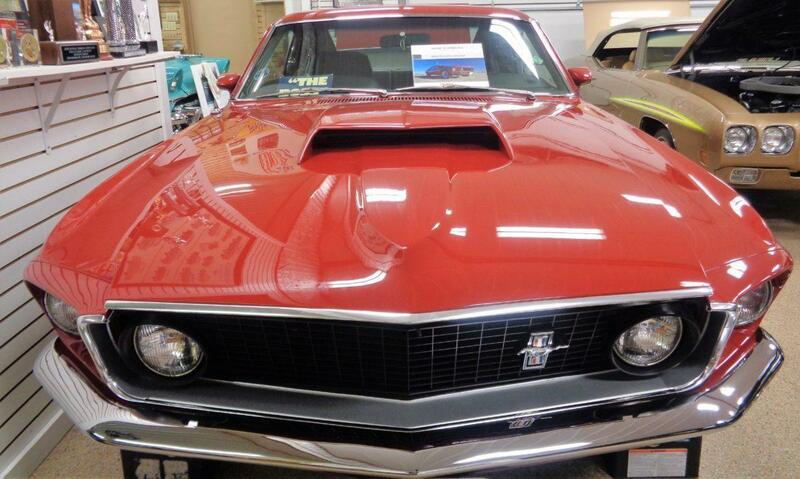 Example; for 1970 the front grill and fenders had two headlights vs four for ’69, the hood scoop was painted black, the rear fender simulated air scoops and the round “running horse” chrome medallion Mustang badge on the rear sail panels were eliminated. 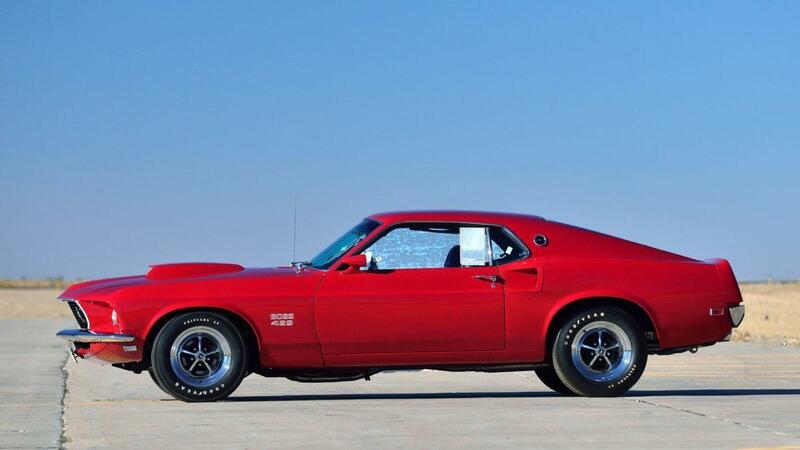 Because the 1970 Mustang Boss 429 was based on the Boss 302, and not the Mach 1 Cobra Jet used for the ‘69’s, many of their parts had more in common with the Boss 302 than the ’69 Boss 9’s. Some of the most obvious parts that are unique to the ’69 models had to do with the suspension. Shod with the fatter F60x15 Goodyear Polyglas GT tires mounted on Chrome Magnum 500 wheels, Mustang test mules were breaking spindles and strut rods on the bumpy section of the Dearborn test track. 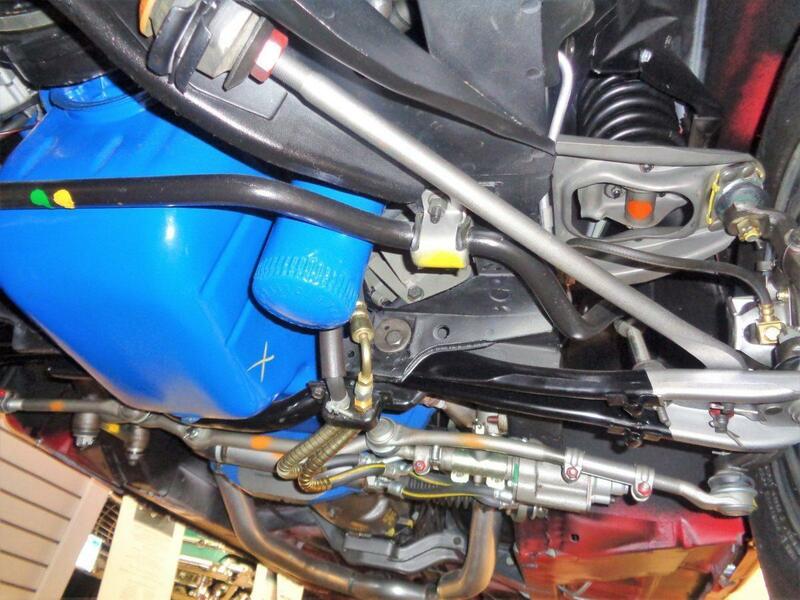 "Because of the big tires, Ford had to reengineer the suspension. 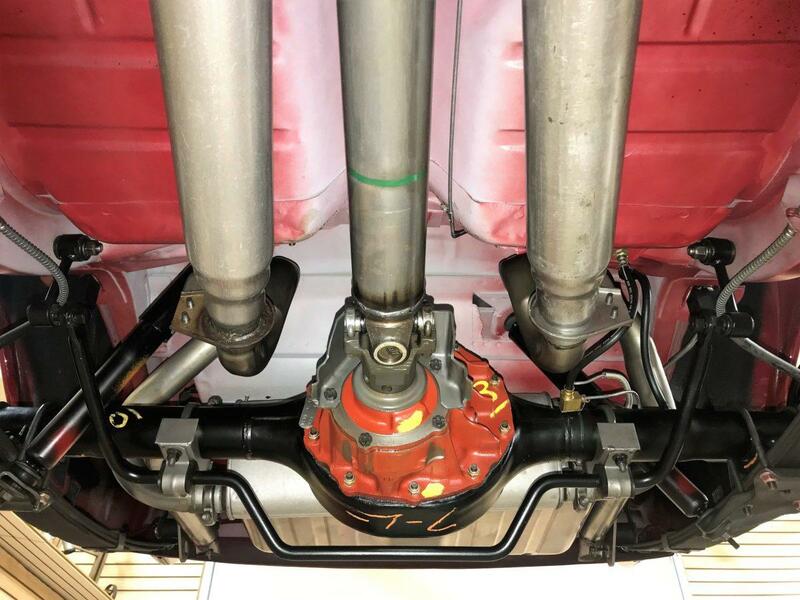 Everything on the '69 Boss 429 front suspension is unique except the lower control arms." - Bob Perkins. 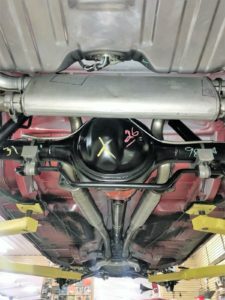 The ’69 cars featured lowered spindles to accommodate the wide tires, safety-wired extra-duty front suspension members, rotors, strut rods, bushings, upper control arm spring seats, front springs and shocks. 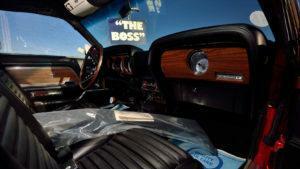 For '70, Boss 429s used the Boss 302 suspension. Since the car was now nose heavy, a 1969-specific stiff 3/4" sway bar was added to rear end to improve handling. 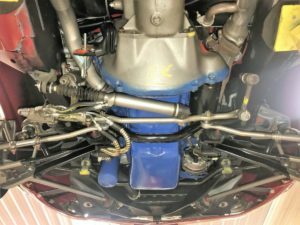 This was the first Mustang ever fitted with a rear sway bar and it handled much better than other big-block Mustangs of the time. The functional front spoiler on the ’69 was also different from other Mustangs. To prevent damage during transport, it shipped wrapped in plastic inside the car for dealer installation. If you are looking at photos of KK1663 and notice the absence of the front spoiler, that’s because it is still inside the car wrapped in plastic. 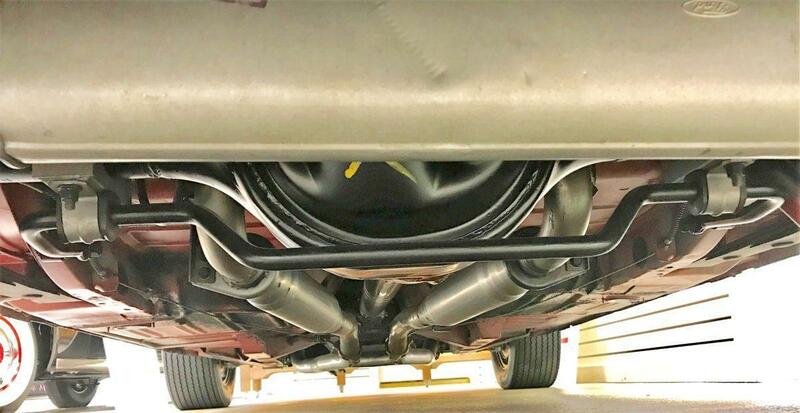 The ’69 muffler was mounted transverse tucked in near the rear axle. These are just a few of the 41 parts unique to the 1969 cars. 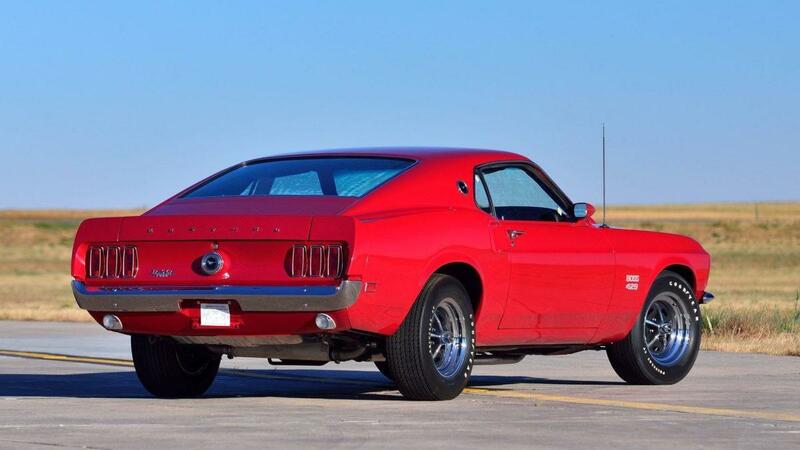 The “Boss 9” Mustangs that appeared at the beginning of the end of the “Muscle Car Era” have been called the best Mustangs ever. They were much more than pony cars with a detuned NASCAR engine. After all, it’s not that hard to stuff a giant engine in a small chassis and make a car go fast in a straight line. To put together an engine, chassis and timelessly styled body in a complete package is an accomplishment rarely achieved and almost always requires not only divine inspiration but even divine intervention. Both were in ample supply in the form of Lee Iacocca, Semon Emil “Bunkie” Knudsen and Larry Shinoda. Individually they were formidable, together they were an irresistible force of nature. By the time Semon “Bunkie” Knudsen arrived at Ford from GM in February of 1968 the development work on the Ford NASCAR engine was complete and the Mustang was already four years old, an eternity in the world of winner take all automobile musical chairs. Knudsen’s claim to fame at GM was hiring John DeLorean away from Packard, pushing the development of Pontiac in NASCAR racing, the 1963 Corvette and 1964 GTO. Not bad credentials. Knudsen brought designer Larry Shinoda with him to Ford from GM. At GM Shinoda worked with design chief Bill Mitchell and Corvette chief engineer Zora Arkus-Duntov on the original 1963 Corvette Sting Ray “split window” and the revolutionary 1968 Corvette that was based on his futuristic Mako Shark concept car. Bunkie placed him in charge of the Ford Special Design Center where he promptly influenced the look of the Boss 429 and Boss 302. His influence didn’t stop at design. Using his hotrodder and racing background, he had his say in handling, aerodynamics, suspension, roll stiffness, and tires, too. 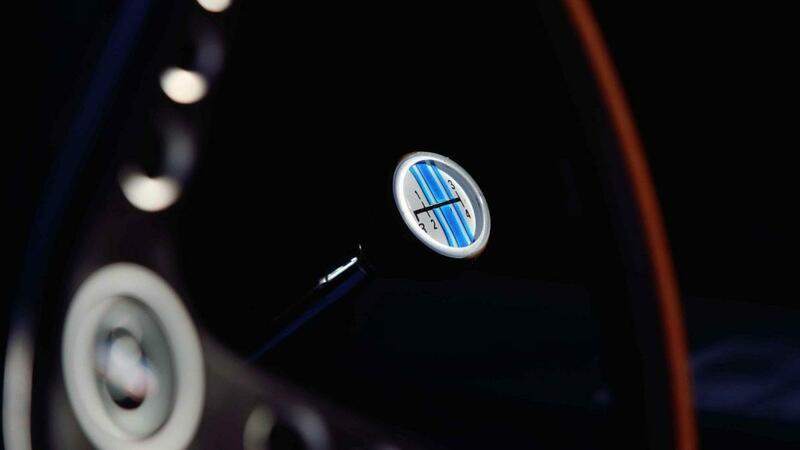 The combined result was the powerful, fast, surefooted Boss models with the timeless style, so few cars ever achieve. Their snarling and growling good looks were exceeded only by their extraordinary performance. With Larry, form followed function. Photographers rejoiced; there wasn’t a bad angle on the sleek car. 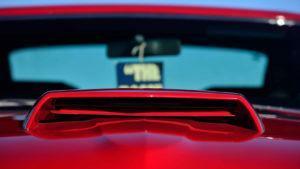 Visually, the 1969 Mustang roof was lowered 1.5 inches and the windshield tilted back. Four 5-inch headlights were used: two inset in the front fenders and two and the extreme edges of the grille. 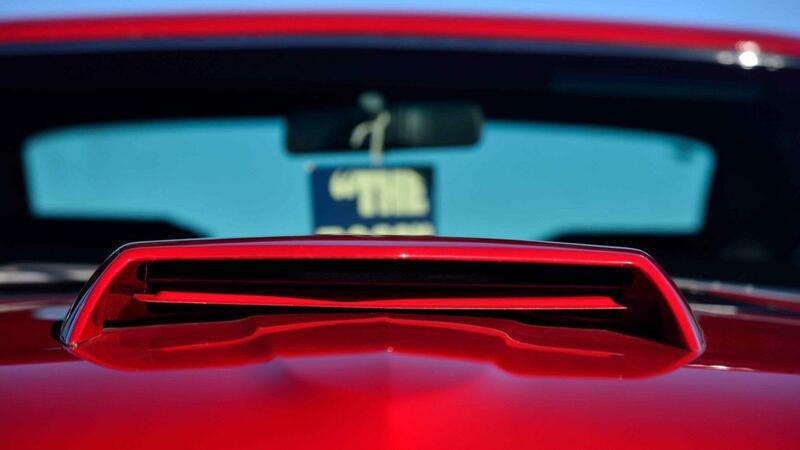 The “SportsRoof” fastback body style had simulated side coops and a discrete spoiler formed into the trunk lid. The Boss 429 was the first American car to come with 60-series tires. The fat tires along with the special front suspension gave it a menacing hunkered down stance. This stunning packaging for the NASCAR 429 engine was topped off by the largest functional hood scoop on a car to date. 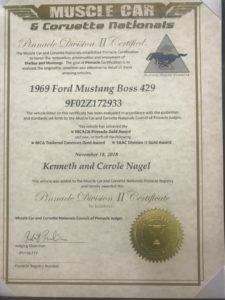 Although both Knudsen and Shinoda left their mark on Mustang, after less than two years Ford fired the designer and the “Boss” in a widely publicized shake-up but their legend lived on. Incidentally, it is worth noting that the Boss “9’s” were something less than an immediate success. The early detuned NASCAR engine didn’t live up to the hype. By the time things were sorted out the damage was done. It wasn’t until some years later that the cars reached cult-like following and urban legend status commanding astronomical prices. The huge success of the restyled 2005 Mustang was due in no small part to its retro look reminiscent of the sleek 1969 SportsRoof Boss cars that many say were the best Mustangs ever created. 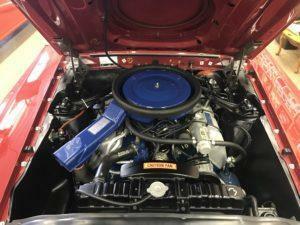 Legendary as it is today, the 429 would have been just another race engine if it were not for Knudsen’s instance that it be homologated for NASCAR racing in the Mustang. Knudsen, a Massachusetts Institute of Technology graduate, was the son of former General Motors President. A Staunch advocate of performance cars, he brought a “Build what you race and race what you build” attitude to Ford. Ford’s NASCAR engine, built to compete with the famed Chrysler 426 Hemi, was designated to propel the Ford Torino around NASCAR tracks. 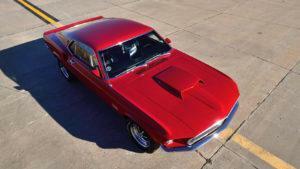 Knudsen decided to promote Ford’s performance image and gin up more sales by using the 1969 Mustang SportsRoof body as the homologation platform. A detuned version of the 500 HP engine, rated at 375 HP was shoehorned into the “sports roof” model of the 1969 Mustang. Contrary to the myth that the shock towers of the Mustang were beaten into submission to make the big engine fit, Bob Perkins says, "Kar Kraft, in its old location on Merriman Road in Livonia, Michigan, might have cut and beat on the shock towers of the preproduction Boss 429 Mustangs to figure out if it could fit the engine to begin with. Job 1 (KK1215) has the same shock towers as the last '69 built. 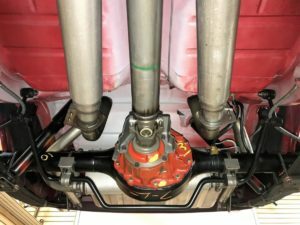 Boss 429 shock towers are OEM and have Ford part numbers, D0ZZ-16055-B for the left side and D0ZZ-16054-C for the right”. The engine, developed by the Race Experimental department of Ford’s Engine and Foundry Division, was something special. It used dry-deck cylinder heads which meant it didn’t have a traditional head gasket. Instead, O-rings were used to seal off each of the cylinders and the coolant and oil passages between the cylinder block and the cylinder heads. The hemispherical cylinder heads thrived on high revs. 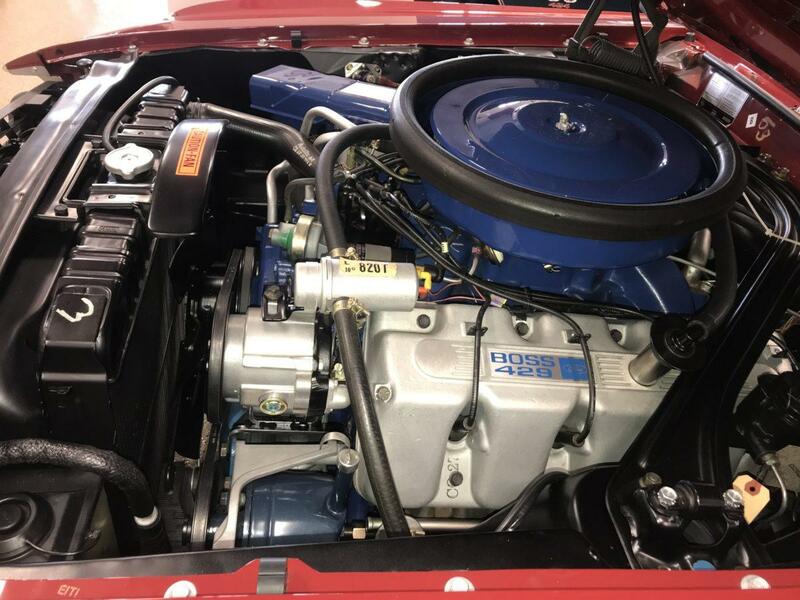 Unfortunately, the initial batch of engines installed in early BOSS 429s came with valve springs that weren’t capable of achieving their intended 6,000 rpm range. Letters were sent to owners and a retrofit kit was provided. The Boss’s finally lived up to their billing when properly sorted out, but their reputation was tarnished, never the less. Installed in NASCAR prepared Torino race cars the 429’s first win came with a 1-2 finish in the Atlanta 500 on March 30, 1969. North Carolina’s Holman & Moody supplied the engines to many qualified Ford and Mercury NASCAR teams, and the checkered flags continued to fly. The engine won 26 races in 1969, and Ford Torino racer David Pearson took the season championship. Non-Ford teams felt the engine was a little too competitive, and the deep-breathing 429 was ultimately regulated out of competition by the end of 1970. In the 120 plus years of the history of the automobile in America there was a brief shining seven-year period that was to have no equal for the next three decades. Like a shooting star flaming bright across the night sky, the time from 1964 to 1970, starting with the 1964 GTO and ending in 1970 with the Chevelle LS6 with the soon to be legendary Boss 429’s sandwiched in between, the Muscle Car Era came and went. The slide from the top was steep and fast. The heyday collapsed under the weight of escalating gas prices, strangling exhaust emissions regulations, stricter safety rules and soaring insurance costs. But, for a short time there was thunder in the streets. Black top roads and main streets from coast to coast became dragstrips, traffic lights became starter lights and the earth shook across Americas highways and byways. They were uncommonly distinctive in their design but they all shared a common theme that made for blistering straight line acceleration; massive V8 engines that generated unspeakable amounts of horsepower and torque channeled to beefed up rear ends through a bevy of close ratio four speed transmissions. 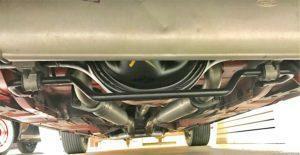 Growling, snarling, throbbing exhaust notes announced the brute horsepower available to the driver. Distinguishing badging and sometimes outrageous graphics made sure innocent bystanders would make no mistake about what was coming their way. As the sun set, cars that few wanted were shut away in dusty barns and garages others went to the scrap yard. Years later these orphans were to become the jewels of the collector car hobby. 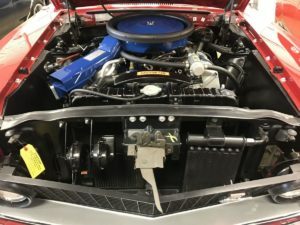 The Boss Nine’s primary mission was the homologation of the new “Semi Hemi” 429 CI engine for NASCAR, but it was more than just a Mustang with a big engine. Every Boss 429 was treated to a Borg Warner close-ratio 4-speed, 3.91:1 Traction-Lok differential, power steering and front disc brakes, competition suspension with a ¾-inch rear sway bar, a trunk-mounted battery, chromed Magnum 500 wheels with F60-15 Goodyear Polyglas GT tires and a Deluxe Decor interior. KK 1663 is restored in the original Candyapple Red paint with a Black Deluxe Clarion Comfort Weave knit vinyl interior and equipped with the 820-T version of the Boss 429/375 HP engine, this Boss Nine is fitted with significant and hard to find components like an original exhaust system, original tires and original battery. 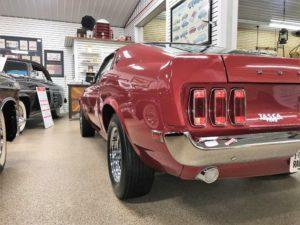 Furthermore, this ultimate award-winning Mustang Boss 429 is well-documented with photos of the car prior to and during the restoration, conversations with and statements from prior owners and restorers that fill in the blanks to complete the cars history. Documents include the build sheet, owner's card, Marti Report, copies of shipping invoices, titles/bill of sales and owner's manual with Boss 429 supplement. The front spoiler is still inside the car wrapped in plastic as are the rear seat belts. The headlight aiming kit is in the trunk sealed in plastic next to the space saver spare with compressed air bottle. Everything just as it was when it was delivered to Tasca Ford, except for the really slick, better than new, Candyapple Red paint! Collector cars are “only new once” but in the case of KK 1663, it’s as good as it gets. It makes one wonder, at what point do these cars become more “object” than automobile to be carefully preserved for display only? 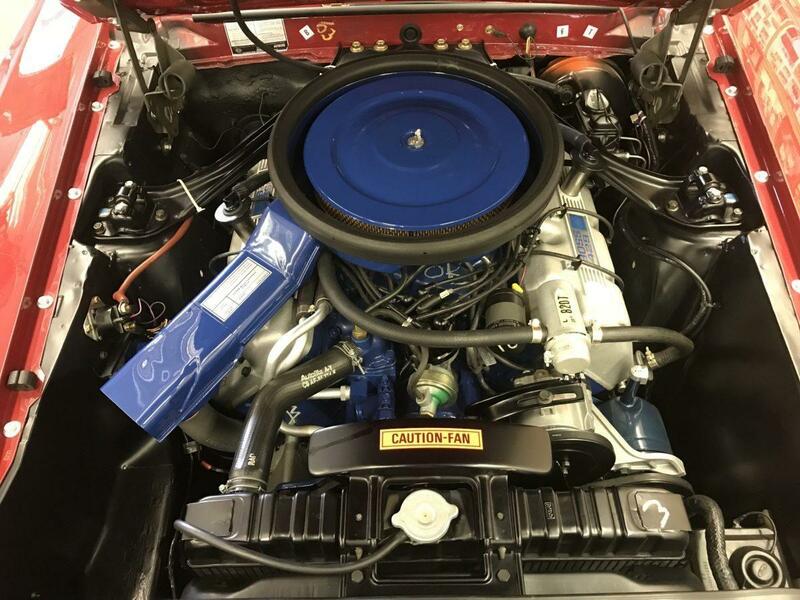 429 CID 4V Cobra Jet H0 8 Cylinder 375 HP Ram Air Eng. 2008 July 12, Best of Show Dublin, Ohio Classic Auto Show & Cruise In. Restoration by Rick Parker for Phil Garland. 2011 August 12, Mustang Club of America Thoroughbred Award. Significant upgrades by Bob Perkins for Wayne Schmeeckle. 1 of 5 to have ever received this status. 2018 November 18, Pinnacle Division II Certificate at Muscle Car And Corvette Nationals, Rosemont, IL. Entered and detailed by Ken Nagel. 1 of 4 to have ever been awarded this status.